So, how did I end up in Cuba? 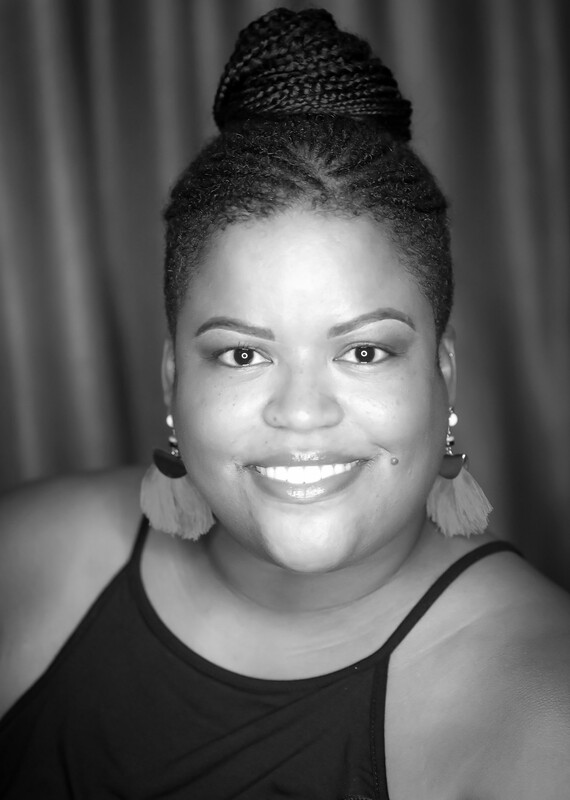 My Blogalicious bud, Tevyka of The Phoenix Chronicles, put out a bat signal in March for a quick turnaround trip she was planning. 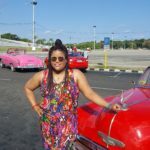 Even though I didn’t really know who else was going, I jumped on the opportunity to go, as Cuba was one of the places that I really wanted to see. 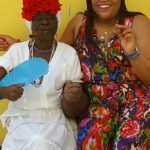 We worked with Nyasha of Experience It Travel Partners to book a cultural education experience of Cuba with three days of various tours of the island. Flights, airport transfers, hotel, breakfast and most other meals were included, too. Our group of 8 travelers left Baltimore on May 4th, ready for our Cuban adventure. Our travel agent worked with Locally Sourced Cuba Tours to arrange tours of Havana, Viñales Valley, an Afro-Cuban street art project, Ernest Hemingway’s Cuban retreat home, a rum factory, a cigar factory and a tobacco farm with a cigar rolling demonstration and a lesson on how to smoke them, plus a city tour in a classic convertible car and drinks at Hotel Nacional de Cuba. Definitely check out their website if you’re interested in arranging tours of Cuba. All but three of our meals were included in our tour package. 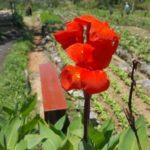 We ate at several paladars (or, family-run restaurants) and even on an organic, pesticide-free farm. Do your research! Don’t be a lazy traveler. 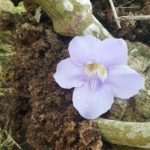 Research where you may want to go, what activities you’ll want to do, learn a few Spanish phrases, read reviews and watch a few YouTube videos to get a feel for the island before you go. Arm yourself with information. Don’t be like the group of tourists I saw at the airport who were shocked there wasn’t an ATM at every turn and that U.S. money wouldn’t get them far. Speaking of Money, money, money, moneyyyyy! Bring what you think you will spend and thensome. Some will tell you to bring about $100 CUC/day to cover food, shopping and alcohol (if you like to drink). I spent about $300-ish but I brought double that with me to be safe. There’s no rolling to the ATM or throwing down your credit card to foot the bill in Cuba. And, don’t try to pay with U.S. dollars as most places won’t take them. It’s best to bring Euros or Canadian dollars to the island, then exchange your money at the airport, a bank or the hotel. Do your research on the exchange rate before you leave. If you have any money left when you leave (and please, don’t run out of money), you can exchange it back to U.S. dollars on your way out (at the airport or your hotel). Prepare to unplug. Wi-Fi was spotty, at best, for me. You can purchase Wi-Fi cards to connect to the island’s Wi-Fi which simply isn’t all that strong, by U.S. standards. The hotel gave us cards for one hour of connectivity which I only got to work twice. I was so into the trip that I didn’t even try during the day, only when we got back to the hotel. Honestly, it’s a good feeling to be unplugged, so I didn’t mind it at all. If you have to be plugged in for family or business, definitely look into what apps you can use to best communicate. Facebook seemed to work really well when I had a connection. 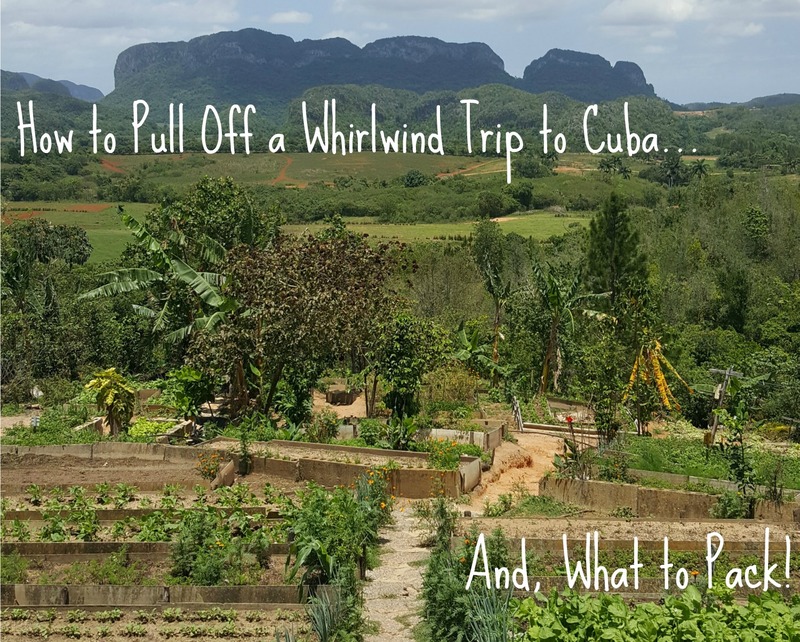 You still can’t just roll to Cuba like a typical tourist. You do need to select your purpose for the trip (visiting family, official government business, journalism, education, etc. ), which really is as easy as checking a box on a form at the airport if you’re going for educational purposes (as we did). We picked up our visas before our connecting flight at the Ft. Lauderdale airport. It’s a simple process. You just need to make sure you hold onto your visa for the duration of the trip. You’ll need it when exiting Cuba. Using a travel agent and booking pre-arranged tours was a really easy way to dip a toe in as a first time visitor. I highly recommend it, especially if you don’t have time to do a ton of research beforehand. It’ll give you an idea of the culture, people, food and where to go so you can plan your return trip! Using a tour company also helped us stick with our “educational” goal of the trip. 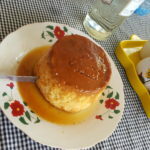 If you want a more local experience, you can skip the hotels and book a room at a casa particular (basically, Cuban Airbnb) and stay in a private home (sometimes, with a Cuban family). These are everywhere and many will serve breakfast for a few extra dollars. Pack everything you’ll need! You won’t find the typical drug stores or places most of us are used to shopping in tourist destinations. At least, not yet. It can be difficult to find staple items as there’s no CVS to run into on every corner when you realize you’ve forgotten something. Make your trip easier by bringing items like toilet paper, a washcloth, wipes, hand soap sheets, a few bottles of water until you can buy more, sunscreen, mosquito repellant bracelets and snacks. Many bathrooms have an attendant who will give you an allotment of toilet paper, so it’s best to have your own. And, you may have to put your used paper in the trashcan inside the stall, rather than flushing it. Remember, infrastructure isn’t great, so just be open-minded and keep it moving. There’s an app for that! Since the Wi-Fi can be iffy, download your apps before you leave. Do a search for “Cuba” in your app store and check out the various Cuban apps for food, culture, maps, etc. Maps.me and Google Translate are also very helpful as they work without Wi-Fi. El Canonazo paladar (on the bay side of Havana, near the canons): The seafood combo dinner was 19 CUC for a lobster tail, shrimp and fish! 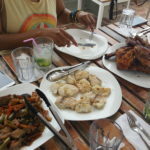 Casa de Confianza: During our daylong Viñales tour (3 hours outside of Havana), we had a huge family-style meal with the best vegetable soup I’ve ever had, grilled chicken, fish, pork and various sides. The flan was off the charts, as was the “stress reliever” piña colada-style drink where you add your own rum! Café Laurent paladar: Another rooftop spot overlooking Havana with elegant, fine dining. NH Capri hotel: This was our hotel for the trip. They offer a daily breakfast buffet that was excellent, plus there’s a rooftop Italian restaurant and a pool bar. Both offered good, affordable meals with a gorgeous rooftop view. 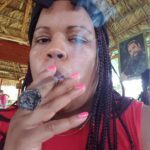 Sady also gave us a taste of Havana’s nightlife by taking us to KingBar where we danced into the wee hours to a mix of Reggaeton and Hip Hop. Bring gifts! Pack some things to give away to your tour guide, taxi drivers, hotel staff and anyone else who touches your heart. Gifts can be anything small from snacks to hotel-sized toiletries. We split our extra snacks between our guide, Sady, and taxi driver, Moises. They’d never had pretzels before so it was fun to see them experience something that’s a norm for us. Flying back into the U.S. on Southwest Airlines left a lot to be desired. We came through Ft. Lauderdale and you have to exit the terminal, walk into the parking garage where a luggage van meets you to take your bags. Meanwhile, there are people trying to get into the garage so make sure you don’t get hit. The “gate” agents have all of the boarding passes pre-printed but there’s no real order or a line. It’s kind of a free for all to catch the tram over to the connecting flight. There’s no deference for elders to get a seat first on the tram. We waited at least an hour to get the boarding pass and the tram. Just be prepared for that when you book your connecting flight. Give yourself enough time! Leave your expectations and standards at home. Be prepared to go with the flow. When you’re in the city, you will see abandoned buildings, poverty and lots of construction projects. But, you’ll also see proud people who are welcoming visitors to the place they call home. Keep in mind that Cuba has only recently become a more open place for Americans (Thanks, Obama! ), so do your part to support them. Buy their goods. Pull up a seat at their bars. Buy their cigars (from the farms, not the factory). You’ll quickly find that Cuba feels like family. Make sure you get outside of Havana though, so you can see the lush beauty of the island, too. 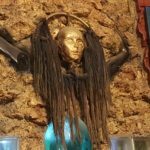 A few pics of Cuba’s beauty, Afro-Cuban art and food. Check out more pictures and videos from my trip on Instagram.